As a CPA, you know that understanding personal finances can seem like an overwhelming task to your clients. Yet it doesn t have to be especially if they have the guidance of a trusted advisor. Published in honor of the AICPA s 125th Anniversary and edited by best–selling financial author and CPA Sharon Lechter, this collection of CPAs advice gives your clients the information and tools they need to make managing their money less intimidating and helps them thrive at any stage of life. 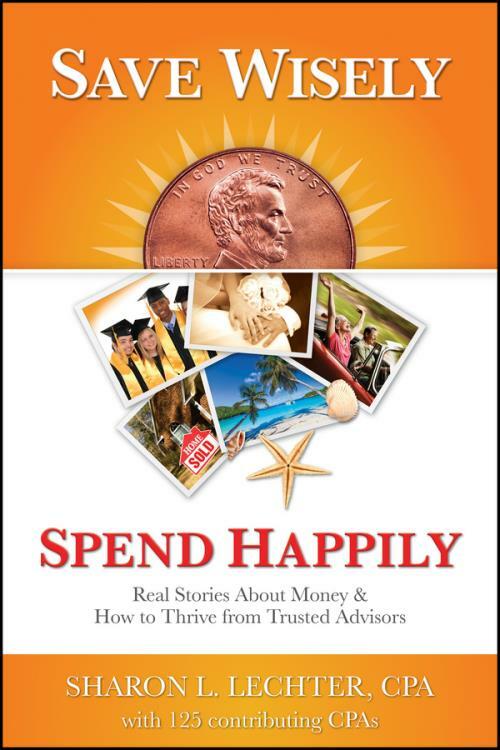 Developed as a complement to the AICPA s successful 360 Degrees of Financial Literacy program, this practical guide makes a great gift for your clients or prospective clients and reminds them that you are their best resource for navigating the tricky money issues that can arise throughout all of life s phases. Filled with detailed information, money saving strategies, and expert advice, each chapter is reinforced with personal stories many from the contributors own life experiences that bring home the book s lessons. These tales of financial setbacks, recoveries, and eventual successes demonstrate that with persistent planning, and a little guidance, it is truly possible to save wisely and spend happily.